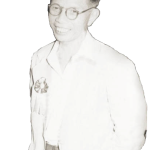 In conjunction with the 50th anniversary of the revocation of the citizenship of Mr. Lim Lian Geok, a ‘Justice for Lim Lian Geok’ campaign will be launched this coming Sunday the 8th of May, 2011 at 11.00am at the Kuala Lumpur and Selangor Chinese Assembly Hall (KLSCAH). The stripping of Mr. Lim’s citizenship is undoubtedly one of the biggest injustices ever committed in the post-independence era. It has left a deep wound in the psyche of those who believe in a multi-lingual and multi-cultural Malaysian society. Today 50 years on, we have decided to launch a campaign to right this historical wrong and to restore justice to a grave injustice. 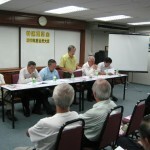 More specifically, this campaign has two main objectives: (1) to urge the Federal Government to restore Mr. Lim Lian Geok’s citizenship that was in the first instance unjustly revoked, and (2) to promulgate an Education Equality Act with a view towards ensuring equal and fair treatment to all schools that use different media of instruction.. Under this proposed Act, vernacular schools are to be treated equally along with national schools and that all forms of discriminatory practices against vernacular schools should be stopped. The distinction between fully-aided and partially-aided schools, which forms the basis of such discrimination, must also be abolished. The ‘Justice for LLG’ campaign will be jointly organized by 13 civil society organizations. 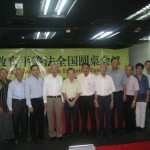 They are Jiao Zong (UCSTAM), the KL & Selangor Chinese Assembly Hall, the Negeri Sembilan Chinese Assembly Hall, Persekutuan Persatuan-Persatuan Alumni Sekolah-Sekolah China Malaysia, the Federation of Alumni Association of Taiwan Universities Malaysia, the Federation of Hokkien Associations of Malaysia, the Federation of Eng Choon Associations of Malaysia, Nanyang University Alumni Association of Malaysia, Centre for Malaysian Chinese Studies, the Association of Graduates from Universities and Colleges of China Malaysia, the Federation of Lim Associations in Malaysia, Eng Choon Mei Shan Lim Association of Malaysia and LLG Cultural Development Centre. As part of the campaign, we will be organizing a postcard signature campaign, public forum , exhibitions, movie screening and a theatrical performance, all of which are aimed at raising the awareness of the public as to the injustice done to a fine patriot and nationalist in Mr. Lim Lian Geok. All members of the public are cordially invited to attend the campaign launch scheduled for this coming Sunday. Civil society groups that wish to participate in the ‘Justice for Lim Lian Geok’ campaign are also welcome. Already, as many as close to 260 organizations have either openly or through the adoption of resolutions called on the government to restore justice to the late Mr. Lim Lian Geok. For more clarifications and information, please contact the joint secretariat at 03-26971971/2 or fax 03-26971970 or visit our blog at http://justiceforllg.wordpress.com.